We provide staging for all your private and domestic parties and functions, be it a small family party at home , like a kiddies or adult Karaoke party, or a private wedding function or charity fundraiser. The staging hire we provide is modular, meaning we can create, literally any size. Available in 1m pieces in either a carpet or industrial finished surface, can arrange to deliver and assemble the stage in situ. Advise on best use throughout the hire period, and collect back when finished. Its all part of the service. Our quotations are among the most competitive in the UK because of our partnership with stage manufacturer NexGen staging of Sheffield. 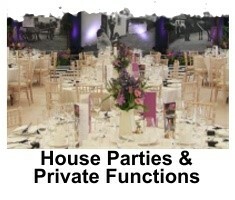 So drop us a line about your next function or party, and we will provide you with a quotation for your booking dates. Welcome to the stagehirenetwork! Get the best rates no matter where you are in the UK. Guaranteed. The fastest Stage Hire in the UK. Would you like to become a StageHireNetwork franchisee? If so, drop us a line. Enter your email & details and we’ll send you an info pack.